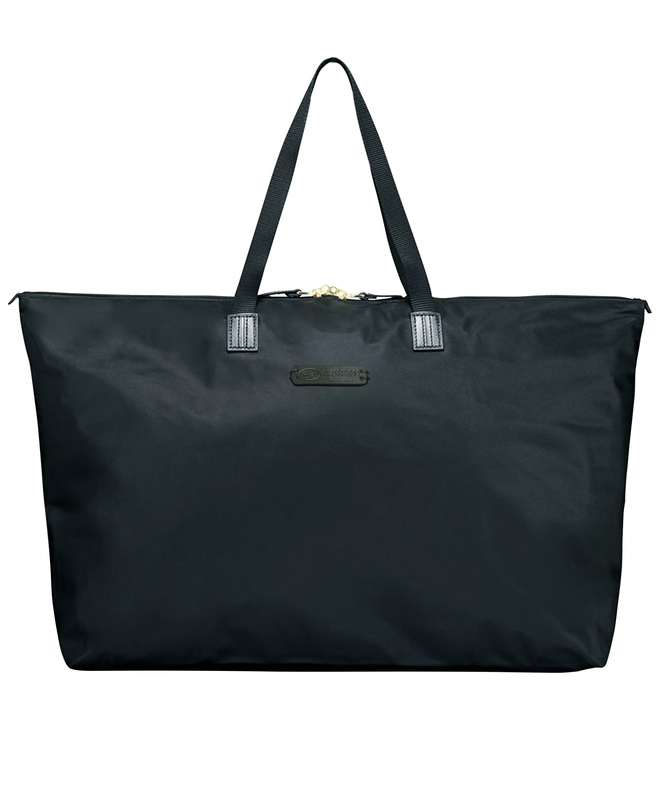 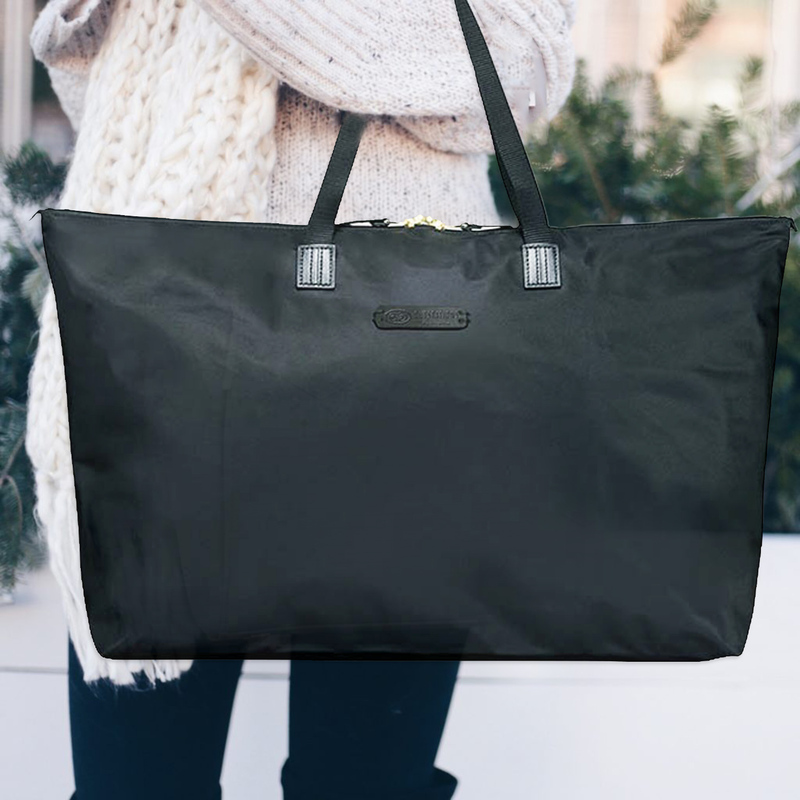 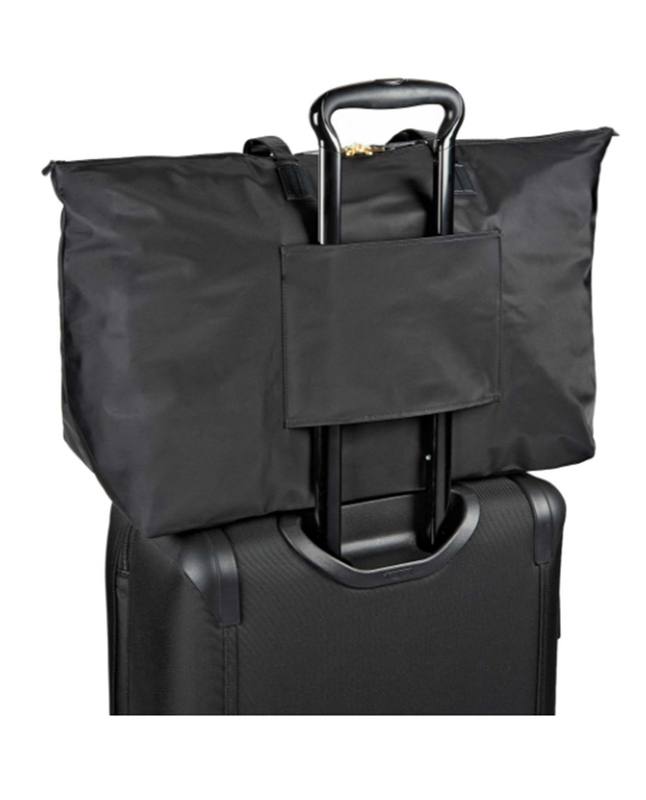 This luxury foldable tote is the perfect Australian gift. 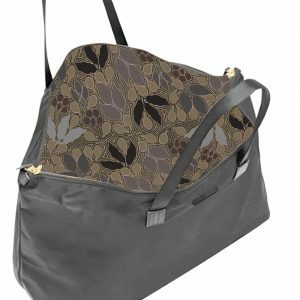 Made from 100% quality nylon, it features a printed lining featuring a beautiful painting by Indigenous artist Biddy Timms called “Dreamtime Journey”. 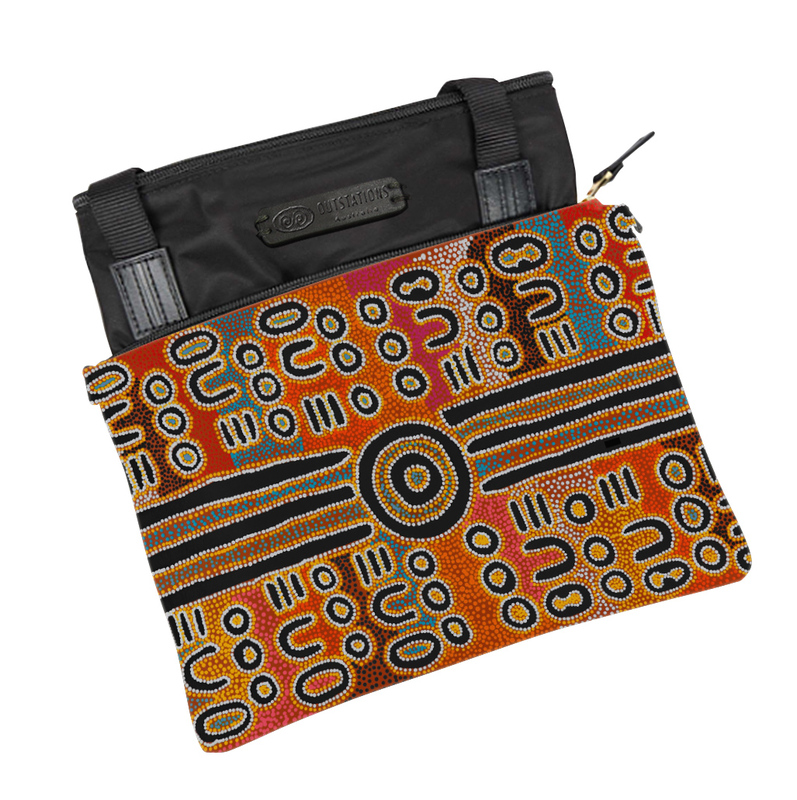 It comes in its own pouch which can also be used for make-up, phone, camera or other small items while travelling. 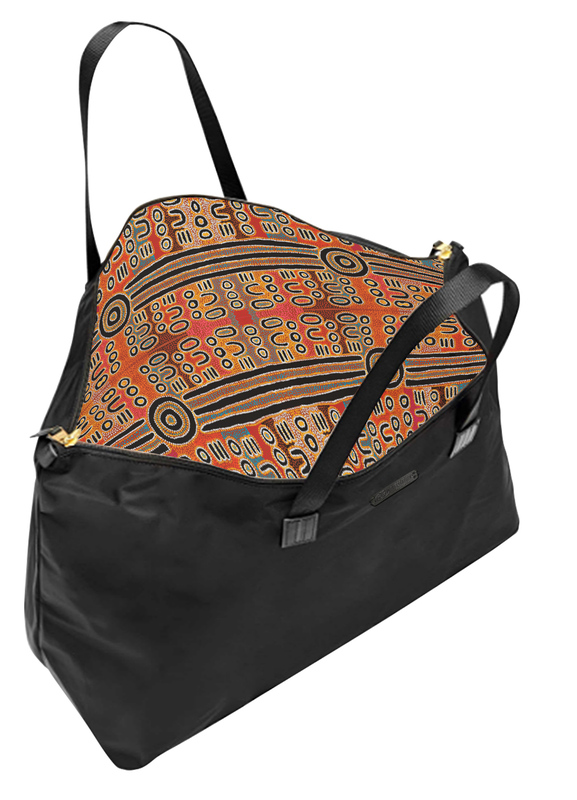 In classic black and lined with a print in oranges, burnt umbers, blues and blacks it co-ordinates with any outfit.